Hi guys! When I was growing up, I didn't really like science. Let me rephrase that - I loved learning about science, space, and nature, but hated science classes, at least my high school classes. Blame a Biology teacher who made me eat a crayfish and a Chemistry teacher who made me feel like an idiot (along with showering me in spit while forcing me to sit on the first row). My dislike of science began to fade when I met my husband who is a complete science guy. He majored in physics, worked on getting his Master's in Atmospheric Science, and got me into reading books by Stephen Hawking. He also helps me understand things that I don't quite understand. 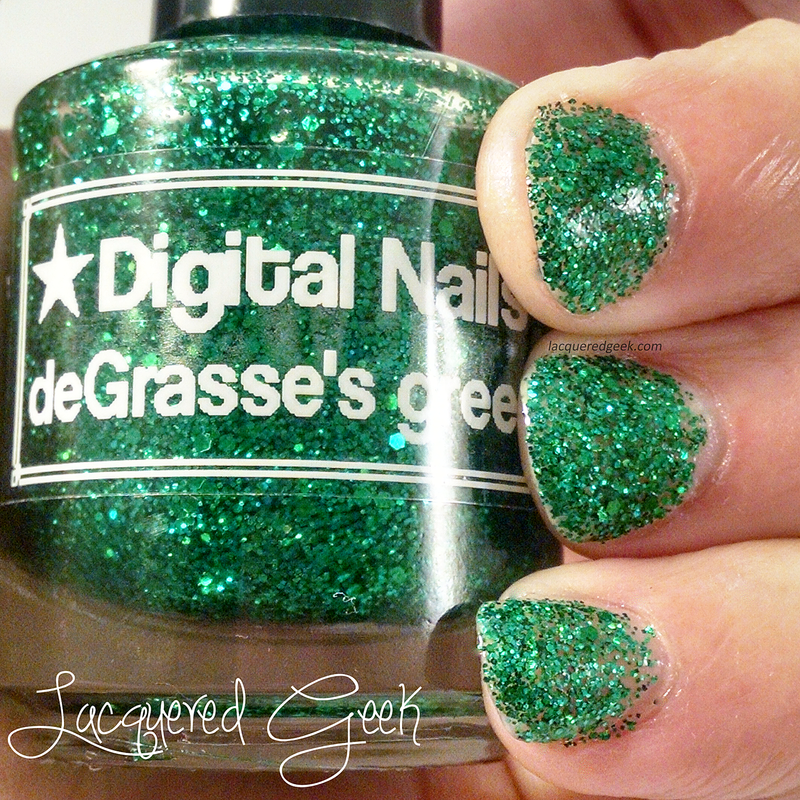 All of that science talk leads us to the polish that I want to share with you today - deGrasse's greener from Digital Nails. It is inspired by one of the most prominent faces of science in recent times - Neil deGrasse Tyson. He makes science accessible and cool! 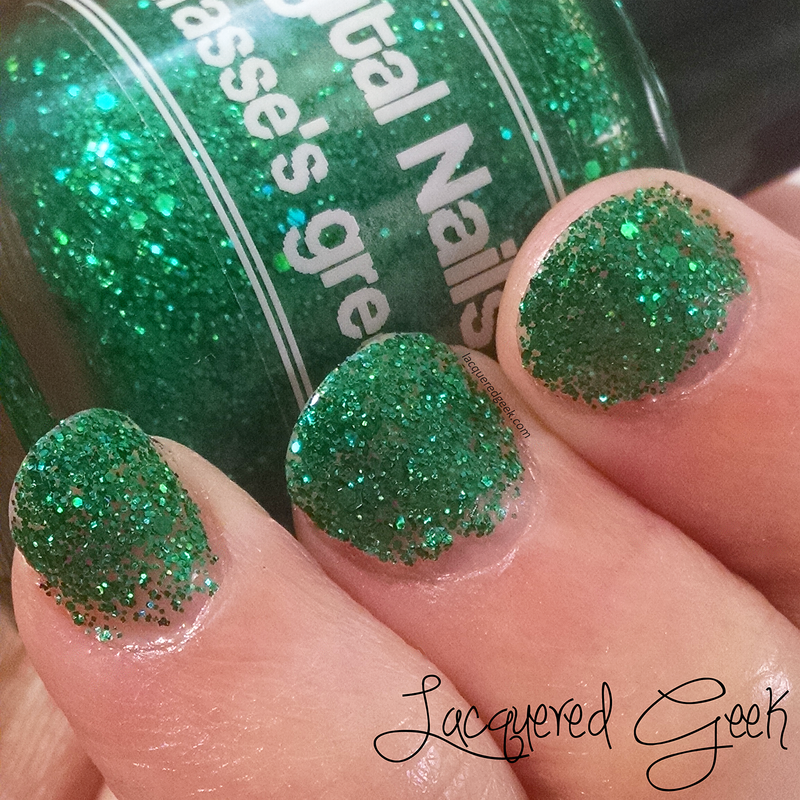 deGrasse's greener is an amazing bright green glitter bomb. It is just a serious amount of green glitter in various sizes in a clear base. In these photos, I used 3 coats and no undies, topped off with a shiny top coat. You could layer it over green, black, or even another color for a different look. I just love this polish - almost as much as I love NdT! deGrasse's greener is in stock right now from Digital Nails. 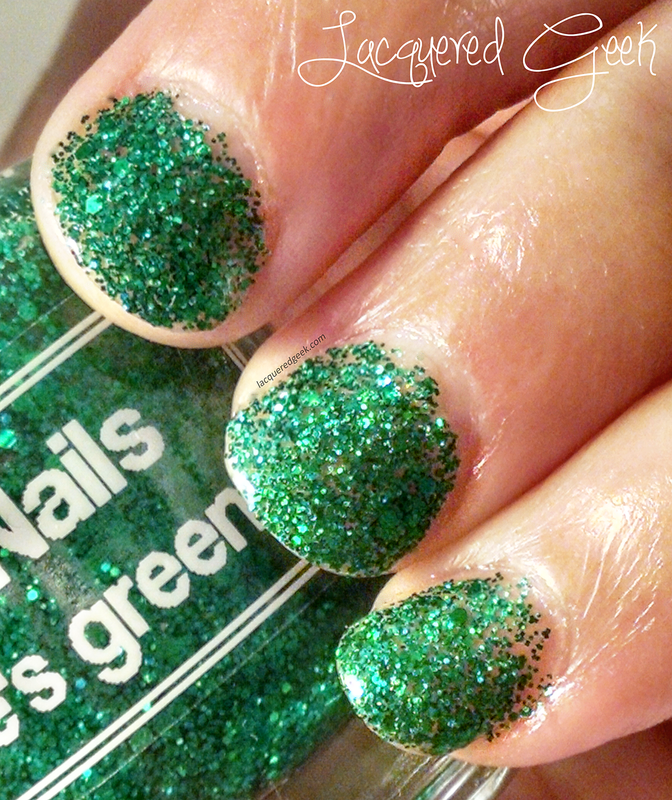 It would be a great polish for St. Patrick's Day nail art too! Now, I'm going to rewatch NdT's version of Cosmos!